- Built in twin stereo speakers. 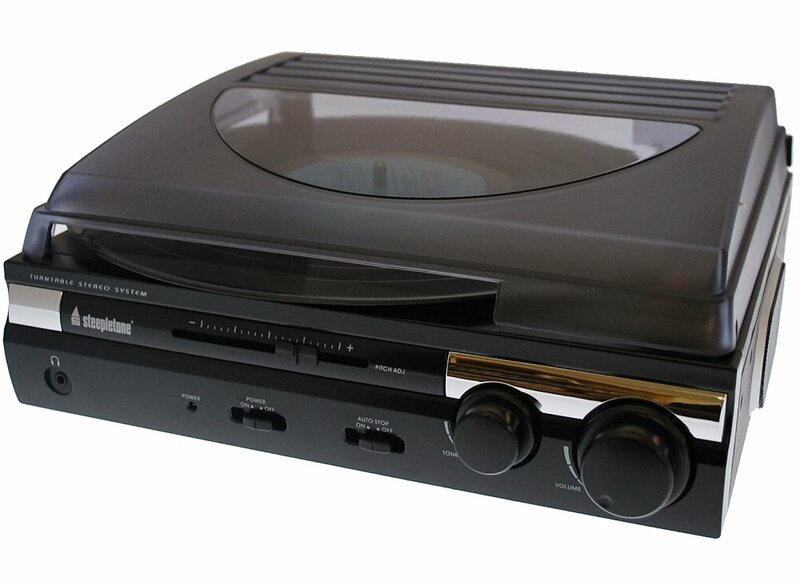 - 3- speeds (33/ 45/ 78 RPM) with built in amp. - Volume and pitch controls. 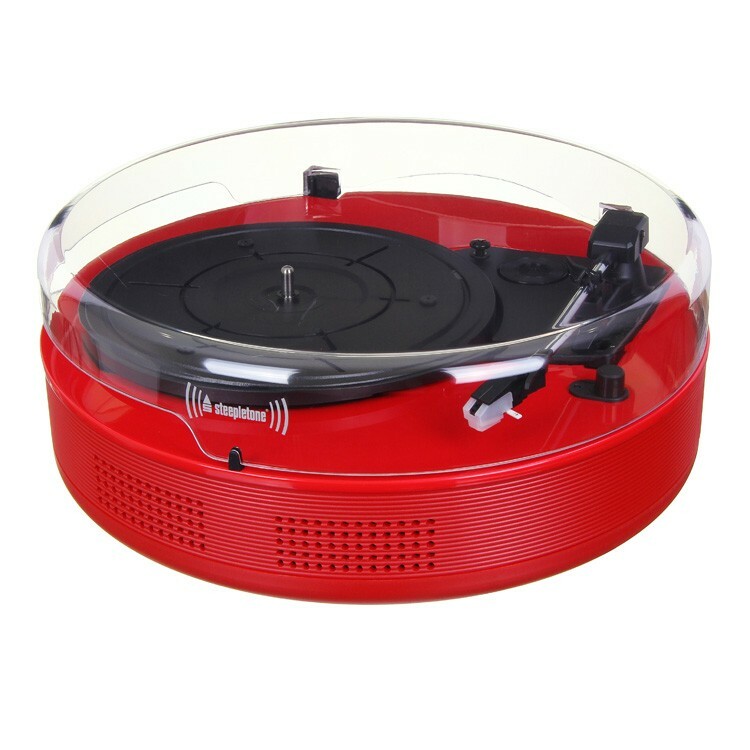 - Transparent round dust cover and one year guarantee.